A white flour version of this very dish is my earliest food memory. I was nine - 4th grade Catholic school. We had an International Food Day, and I remember sitting at a small table taking my first bite of a pancake - chewy, crunchy, salty, mind blown! Thank you, God - literally! 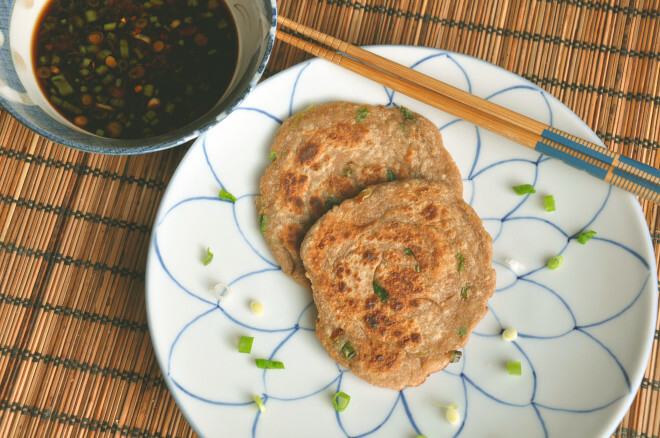 Using whole wheat flour boosts the fiber from essentially nil to 3g per pancake making it a "Good Source" of fiber. It is also "Low In" Saturated Fat and Cholesterol. 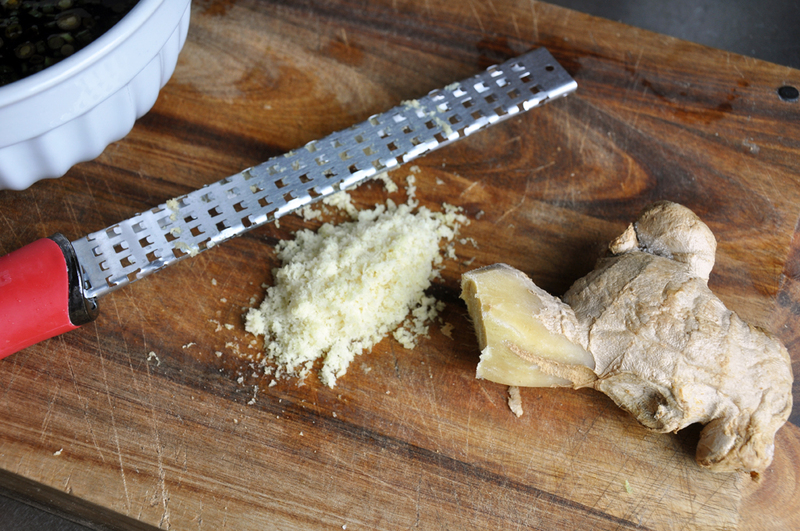 Place flour and salt in the bowl of a food processor fitted with a metal blade. With the motor running, add 1 cup boiling water in a steady stream until it forms a loose ball. 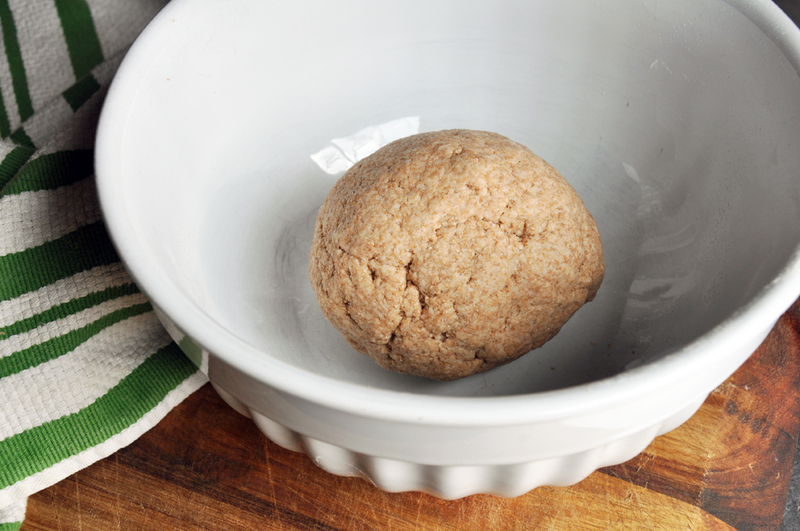 Remove, knead into a tighter ball and place in a bowl covered with plastic wrap for 30 minutes. Meanwhile mix together the dipping sauce. 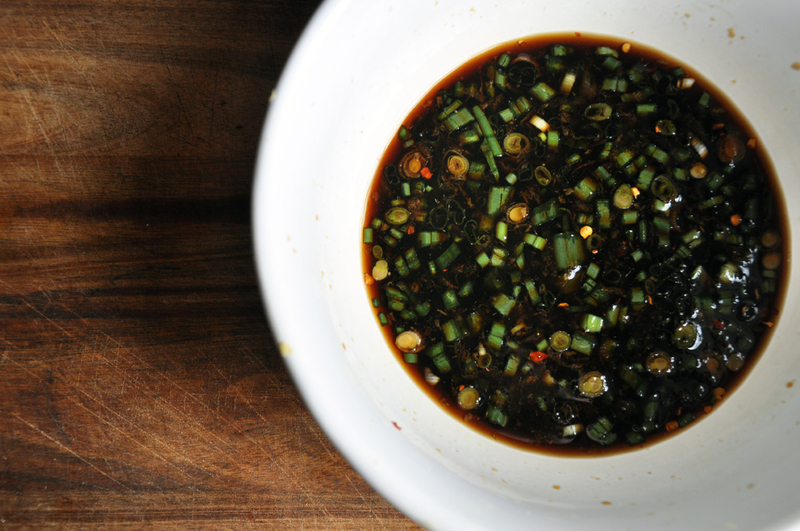 Whisk together 1/4 cup scallions, soy sauce, rice vinegar, ginger, sugar and red pepper flakes, if using. Set aside. When the dough has relaxed, divide it in half. Roll out the first half on a lightly floured (use white flour) table with a rolling pin until 1/8" thick. Try to use as little flour as possible. Trim to make a rectangle. Brush lightly with some of the sesame oil and sprinkle with scallions. Roll up and cut into four pieces. With one pieces roll into a log about 6-8" long. Then curl it around into a circle. Finally, roll out again to make a 5-6" diameter pancake. Steps #3-#5 are demonstrated in a Vegetarianized.com YouTube video called: "How to make a cake." Repeat with all the remaining dough, including scraps, to make about 10 pancakes. Heat 1/2 tsp canola oil in a large skillet over medium heat. Fry 2-3 pancakes at a time, browning on each side. Remove to a paper towel-lined plate to drain. Serve warm with the dipping sauce. Delicious. I really liked it.